Cardie, Beret and Shoes in supersoft Sirdar Snuggly DK. A perfect way to finish a little girls outfit. 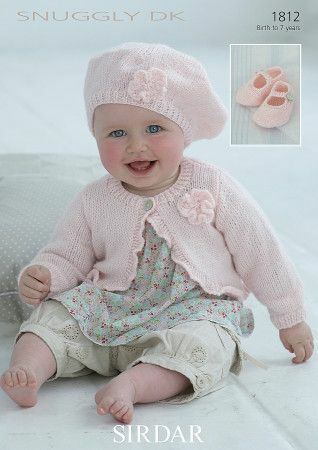 Originally knitted in Blush Baby (404), which has been discontinued Please select an alternative.